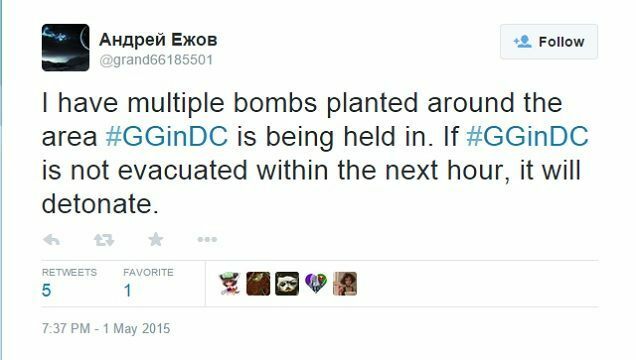 A 250-strong meetup of GamerGate supporters, which included game developers, journalists and think-tank scholars were evacuated from a bar in Washington D.C on Friday after an anonymous bomb threat was made against the gathering. This followed an unsuccessful social media campaign spearheaded by anti-GamerGate Salon columnist Arthur Chu to convince the bar’s proprietors to voluntarily eject GamerGate supporters from their establishment. The event was the largest GamerGate gathering so far, with somewhere between 200 and 300 attendees. It follows a trend toward offline organising by its supporters, who up until recently have tended to congregate on social media and image boards. The event was held at the Local 16 in Washington, DC, hosted by Breitbart editor Milo Yiannopoulos and featuring AEI resident scholar Christina Hoff Sommers as its guest of honour. Although primarily attended by gamers, a wide range of journalists were also at the event, including author and Reason magazine contributor Cathy Young, Daily Caller columnist and policy analyst Mytheos Holt, and Washington Examiner columnist Ashe Schow. Police arrived on the scene at approximately 12:15am, just over three hours after the meetup had kicked off. The evacuation began immediately, causing particular difficulty for the event’s two disabled attendees, who had to be carried down from the second floor. The other floors of the bar, which were occupied by regular customers, was also evacuated. An interview on the scene with disabled game developer Gwen L Knight and her fiancee. Knight was recovering from a muscle attack at the time the police arrived and was unable to walk. 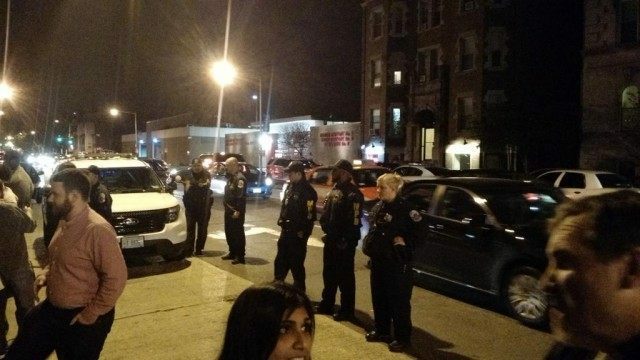 Attendees were initially told by the bar’s staff that there was a fire drill, but the presence of dozens of police officers including a K-9 bomb squad van suggest that the call had more to do with bomb threats that had been made against the event earlier. Police at the scene would not comment on the reason for their investigation, although more details will become publicly available in due course. It’s currently unclear who was behind the bomb threat, which was sent from an anonymous Twitter account. However, many GamerGate supporters including the host of the event have argued that Salon columnist Arther Chu is responsible for encouraging his followers to find ways to eject GamerGate supporters from Local 16. Chu spent a great deal of time on Friday sending angry messages to the bar’s Twitter and email accounts, urging them to cancel the event, which he said was organised by a “hate group”. In one tweet that was seized upon by GamerGate’s meme activists, Chu cryptically said: “it ends tonight“. The proprietor of Local 16 refused to meet Chu’s demands, telling Professor Sommers: “This is America”. Owner of bar called me after getting scary warnings not to host #GGinDC Spoke with accent:"Would never keep any group out. This is America." 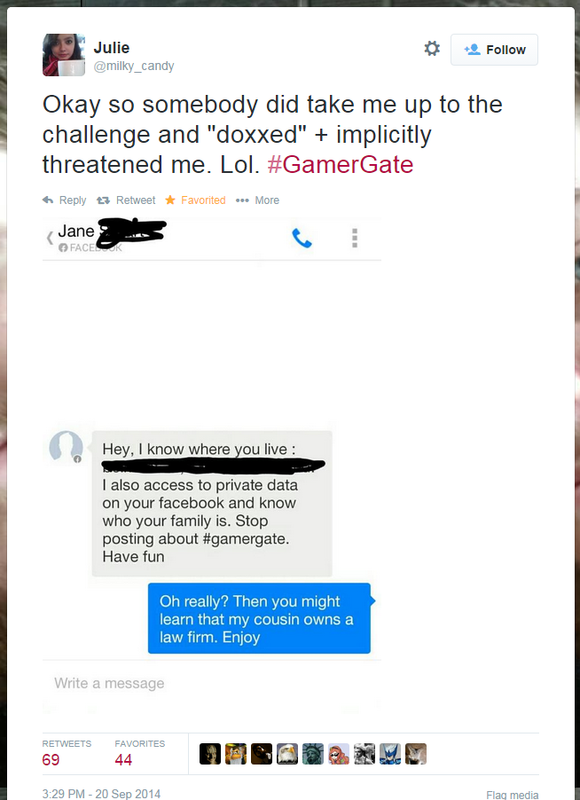 Despite media attention being focused on the complaints of GamerGate’s opponents, this is far from the first threat that the movement’s supporters have had to deal with. 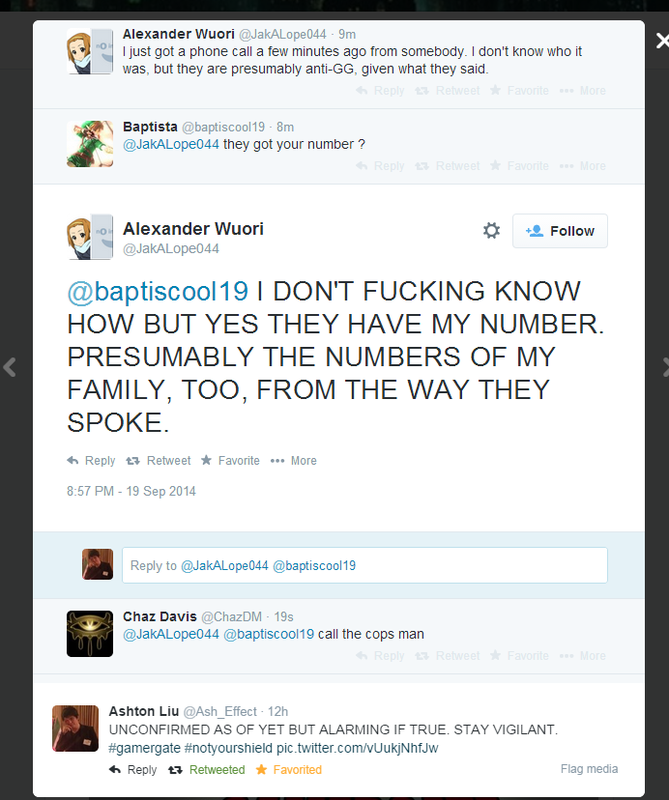 As early as September 2014, there were multiple reports of threats against GamerGate supporters, and such incidents continued to occur as the controversy escalated. Often, these would come in the form of anonymous emails, SMS messages or phone calls. 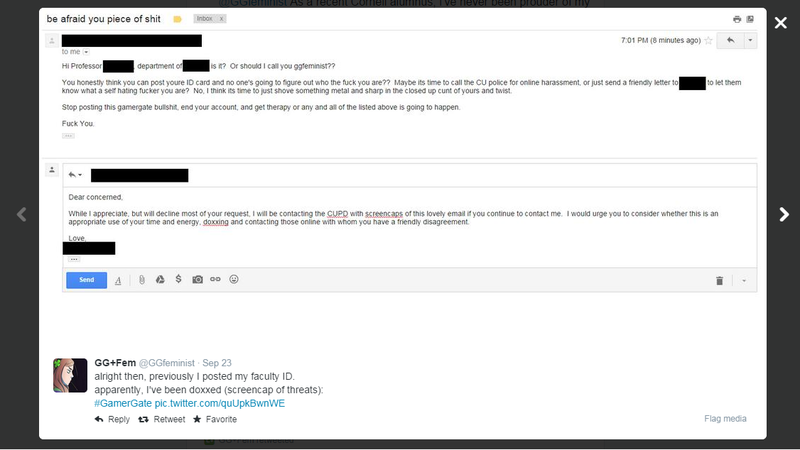 GamerGate supporters have also reported at least three incidents of having police called to their homes on the basis of false emergency reports – a practice known as “swatting”. Very little of this was acknowledged or investigated by the mainstream media, who preferred to tie themselves to an increasingly untenable narrative of GamerGate as a “war on women” in gaming. Now that threats and swatting against GamerGate supporters have become impossible to deny, opponents of GamerGate have begun to claim that third party trolls such as the GNAA or 8chan’s Baphomet board are responsible, as opposed to anti-GamerGate agitators themselves. In at least one of the reported cases from September, this is in accurate, but the core point is of course correct. Where threats are anonymous, it is impossible to know who sent them or why. Ironically, the newfound skepticism of anti-GamerGate is exactly the attitude that GamerGate supporters have maintained for months. Regardless of who was responsible for the incident, it is clear that considerable police resources were wasted, at a time when Washington DC police were already strained by a car park collapse at the Watergate Hotel, as well as being diverted to Baltimore to assist in dealing with the riots. Threats in the nation’s capitol are always treated with the utmost seriousness, and whoever made the threat is likely to face jail time if caught. If, as many GamerGate supporters suspect, the threat was the result of an anti-GamerGate supporter trying to disrupt the event, it is a manifestation of their increasing impotence in the face of the movement, which continues to develop and organise. Gamers have faced down one of the most hysterical media narratives of modern times, and have at times appeared to be virtually impervious to the social shaming tactics of SJW elites. A hoax bomb threat from a stroppy feminist activist is unlikely to faze them. Follow Allum Bokhari (@LibertarianBlue) and Milo Yiannopoulos (@Nero) on Twitter.